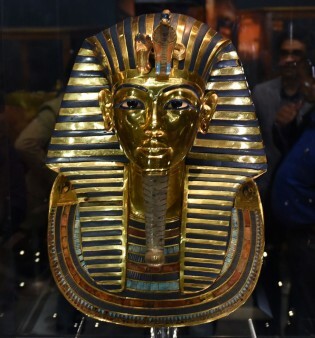 The restored mask of Tutankhamun at the Egyptian Museum in Cairo. Photograph: Mohamed El-Shahed/AFP/Getty Images. 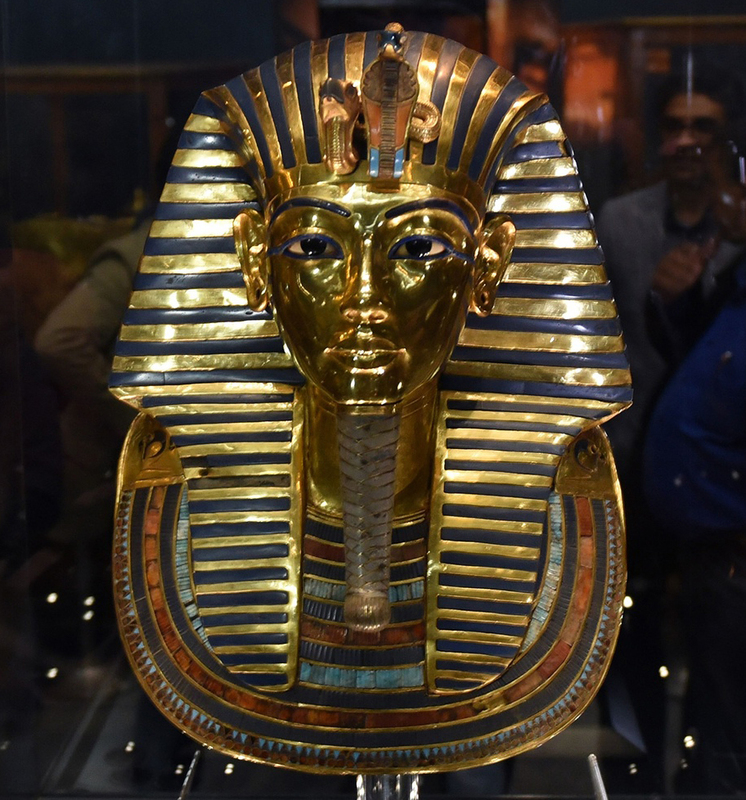 Finally the Famous Mask of the Boy King is on display at its original place inside the Egyptian Museum, at the Tahrir Square, after its restoration which lasted two months. The German team headed by Christian Eckmann removed the glue applied in a botched repair when the priceless artefact’s beard was accidentally knocked off in August 2014. Then museum workers put too much epoxy glue in a hurried attempt to fix the mask. This time the mask was scanned, and also warmed, so that the team was able to remove the glue. “The most challenging process was to remove the beard. We did it by mechanical means … using wooden tools,” Eckmann said. When Howard Carter discovered the famous mask in 1922 the beard was already loose. Now, ninety years after its discovery, the mask is being presented in its original form. Tutankhamun’s funerary mask weighs 11kg. It is made of solid gold and encrusted with lapis lazuli and semi-precious stones.